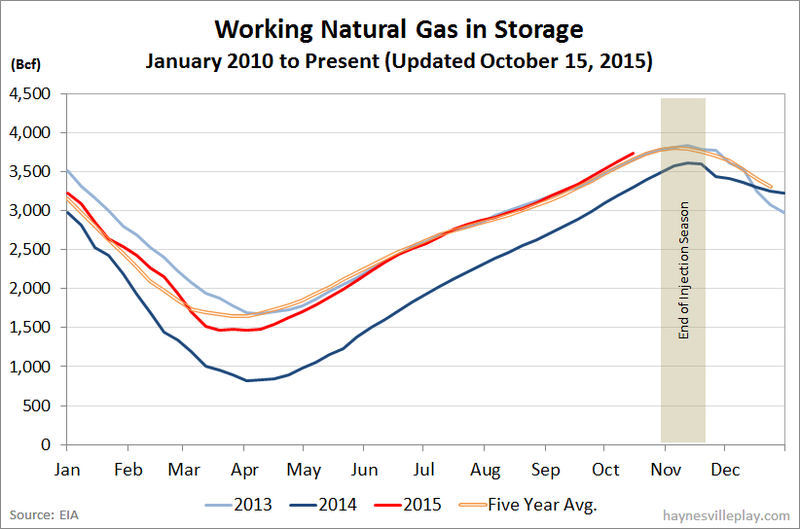 The EIA announced this morning that working gas in storage was up 100 Bcf to 3.733 Tcf. The weekly injection was 4% above last year (+96 Bcf) and 15% higher than the five year average (+87 Bcf). 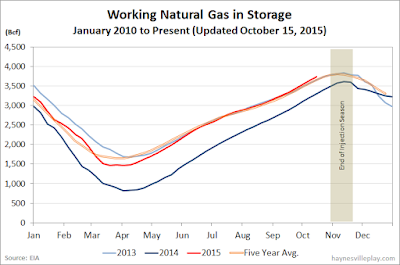 The current storage level is now 13.6% above last year (3.286 Tcf, a difference of 447 Bcf) and 4.7% above the five year average (3.565 Tcf, a difference of 168 Bcf).